On the evening of Thursday, September 23, 1926, a group of men stood huddled around a radio in the basement of the Western Manufacturers’ Building at the southwest corner of 14th and Locust in St. Louis. Located just steps from the Central Library, the men were drinking in the Submarine Bar, a “soda pop bar” owned by a man named Anthony Dattalo. It was during the time of Prohibition, and violent gangs waged war in the streets of St. Louis to control the manufacture and sale of illegal alcohol. Dattalo was in on the action, as the cases of liquor stacked behind his bar suggested. Dattalo was in his bar that night, along with his twin brother Michael and a few companions. What held their attention on the radio was the first title fight between heavyweight champion Jack Dempsey and challenger Gene Tunney. As the men threw dice and listened to the returns of the fight, other patrons drank quietly in the dark corners of the bar. Bartender Frank Mercurio looked on from behind the bar. Suddenly, the doors to both entrances of the bar swung open. A number of men walked through each door and pulled out blue steel pistols. Without warning, the men opened fire. “A tornado of bullets” is how the next sixty seconds was described by a survivor. Gunfire exploded throughout the bar, bottles of liquor shattered, and wooden fixtures splintered as the gunmen fired indiscriminately. When it was over, the floor of the bar was littered with spent shell casings, shards of broken mirrors, and blood. The gunmen fled as quickly as they arrived. An innocent bystander named Frank Christian was hit in the chest and hip. He was found dead with his head underneath the brass rail of the bar. Another man named Joseph Rubino was shot in the right side of the chest. The bullet penetrated both lungs, and he died the next day. The owner of the bar, Anthony Dattalo, was shot through the leg, the chest, and both hands. He died two days later. Gus Catanzaro was the man police believed to be the target of the hit. He survived, but was hit in the left hip and right thigh. Bullets also clipped his nose and ear. The night watchman of the building, Harold Cressey, was shot three times in the leg. Only two men in the bar were not injured, one being the bartender Frank Mercurio. He immediately dropped to the floor and laid there as liquor from broken bottles poured over him. Wounded in the leg, Michael Dattalo dragged his brother and Gus Catanzaro to a nearby car and drove them to the City Hospital. Unbelievably, that’s about as far as the story goes. The survivors of the attack knew exactly who was behind the hit, but that’s how liquor wars worked in St. Louis during Prohibition. Justice wasn’t handled through the law, it was handled on the streets. When police asked Michael Dattalo at City Hospital who was responsible for the shooting, he simply laughed. Al Capone and Chicago dominates Prohibition-era tales of bootlegging and mob warfare, but St. Louis was no different during that time. Gangs with colorful names such as Egan’s Rats, the Green Ones, Hogan’s Gang, the Cuckoo Gang, and the Russo Gang ruled St. Louis during Prohibition. They ran bootlegging operations, extorted local businesses, had deep political connections, and most notably, killed people who got in their way. The gangs were led by violent men who flaunted their power and bragged about their crimes to the press. Men like Tom Egan, Edward “Jellyroll” Hogan, Vito Giannola, Tommy “The Rock” Hayes, and William “Dinty” Colbeck gripped St. Louis with corruption as they waged war upon each other. The Green Ones, a tight-knit Sicilian mob operating out of the Little Italy neighborhood were especially ruthless. In September 1923, a cook named Angelo Pastori refused to accept a meat delivery from the Green Ones at the cafe he worked at. A few days later, a black sedan pulled up next to Pastori as he walked over the Kingshighway viaduct. Two men exited the car as witnesses heard Pastori plead “Don’t kill me!”. Angelo Pastori died of a fractured skull and stab wounds to the heart. Another man named Sam Palazollo also refused to be extorted by the Green Ones. One evening while driving through the Clifton Heights neighborhood, Palazollo pulled over to relieve himself. A man came up from behind and bashed his head in with a tire iron. Not wanting to get blood on the upholstery of their car, the mobsters tied a noose around Palazollo’s neck and drove off, dragging the body to the city dump where it was left. The main bootlegging rival to the Green Ones were the Cuckoos, a violent gang based in the Soulard neighborhood. Unlike the Green Ones, the Cuckoos had a diverse membership including Irish, Germans, Italians, and even Syrians. Leading up to the Submarine Bar shooting, the Cuckoos and Green Ones had been shooting each other on sight. During Prohibition, more than twenty murders would be attributed to the Cuckoo-Green Ones feud. Police knew the Cuckoos were behind the shooting at the Submarine bar, but no evidence could be gathered. While Michael Dattalo laughed, other survivors remained silent during questioning. Anthony Dattalo, his twin brother Michael, and Gus Catanzaro were members of the Russo gang, a smaller mob that had allied itself with the Green Ones. Newspapers speculated the shooting was retribution for the Green Ones killing a low-level snitch named Joseph Consiglio just days before. Another paper reported it was because the Russos refused to pay toll to the Cuckoos. Every newspaper reported that it was simply the latest battle in an ongoing war between the Cuckoos and Green Ones. Another battle like it was just around the corner. Before he died, police asked Anthony Datillo for more information. He replied “Go to hell, the bunch of you. I don’t give a damn about the law or anybody else”. Now, on to the drink. In writing a post dealing with Prohibition, it’s suitable that I try to do something dealing with making my own booze. With that in mind, I thought about going all-out and trying to distill my own whisky. It can’t be that difficult, right? Regular folks built basement stills and mixed their own booze all the time during prohibition. Rural Missouri was littered with them (and probably still is). Wrong. I realized quickly that this would be a very bad idea. First of all, I could blow myself up. Second, I could go to jail, because owning a still and distilling alcohol for personal use is illegal. Finally, if I didn’t die in a fiery blaze or find myself in a communal prison shower, I could be poisoned. Since I’m not a very good cook, I think this last option seemed the most likely. Fortunately, I found a solution that is easier than I could have imagined: Bathtub gin. During Prohibition, bathtub gin was an extremely popular option over distilling whisky. It was easier to make, didn’t require a still, and it was ready to drink right away. Even better, readers of this blog know that I simply love gin. I love gin so much that I even ventured out and created another Bike-a-Sketch to show my affection for it. There’s actually a misconception out there about the term “Bathtub Gin”. Most people believe the term describes where the ingredients were mixed: a bathtub. Add a bit of mold, soap scum, and maybe some body hair, you are bound to have something special. Actually, this could explain New Amsterdam Gin, which I think kind of tastes like feet. Actually, there’s not much evidence to suggest gin was mixed in bathtubs during Prohibition. The term came about because a bathtub tap was used as the water source. Homemade gin requires combining grain alcohol, water, juniper berries (and other ingredients) in a large jug and allowing the mixture to steep for a short period of time. Since the jug was often too large to fit under a sink tap, a bathtub tap was used. Other than the tap, the gin didn’t come in contact with a tub. Getting water to make bathtub gin was easy, but getting alcohol presented a problem. That’s where people would get themselves into trouble. During Prohibition, alcohol continued to be produced in the United States for industrial uses such as fuels, polishes, and lubricants. Mob groups like the Green Ones And Cuckoos would divert industrial alcohols away for more profitable purposes, like selling it to people wanting to make illegal gin. Ethanol is the basic ingredient used in the spirits we drink to get tipsy and happy. In moderate amounts, it’s fit for human consumption. Methanol, on the other hand, is highly toxic. Drink it, and you run the risk of damaging your optic nerve (thus, the origin of the term “drinking yourself blind”). Drink more of it, and you’ll be dead before you realize you can’t see. During Prohibition, the government added methanol to many alcohol-based products in order to keep people from drinking it. Today, industrial alcohols have additives that make it undrinkable. In order to keep stupid people from getting drunk on camp stove fuel, upholstery cleaner, or shellac, it’s purposely made to taste extremely bitter or smell very foul. In 1926, these safeguards weren’t in place. People frequently poisoned themselves and others by drinking bathtub gin containing methanol. If done right, making bathtub gin was quick and easy. It didn’t require a still, the lack of odor made it harder to detect, and it didn’t need to be aged like whisky. You could drink bathtub gin minutes after mixing it. Since the taste was usually very harsh, people would mix it with other ingredients such as fruit juice to make the drink taste better. As a result, cocktails like the gimlet became more even more popular. Since “Bathtub Gin” is not a recipe one will find in the Joy of Mixology, I found one that looked interesting on the Internet. It’s legal, simple, and ready to drink in less than twenty-four hours. Combining the ingredients in a saucepan and cook over a high flame. When bubbles appear at the edge of the saucepan, turn the heat down to medium and let it steep for two minutes. Remove from heat, pour everything into a mason jar, and cap it. Let it sit for eighteen to twenty-four hours. When it’s ready, strain the gin through a conical strainer lined with a paper filter into a bottle. It’s now ready to drink. As soon as I made the first batch (labeled “A” in the photograph), I started tinkering with the recipe. I didn’t think it was realistic to use vodka and wine. I realized the purpose of the recipe was to make something that tasted good. That wasn’t my goal. I wanted something like the real stuff they drank during Prohibition. I started tinkering and ended up making four different versions. The first batch (labeled “A” in the photograph) is the exact recipe detailed above. It created a pale yellow mixture. The second batch (labeled “B” ) is the same recipe, but I substituted Everclear (grain alcohol) diluted 1:1 with water, and omitted the wine. This produced a pale green mixture. The third batch (labeled “C”), is Everclear, water, and crushed juniper berries. I removed all other ingredients. The crushed berries created a dark, rusty color. The fourth batch (labeled “D”) is my attempt at true bathtub gin. It’s Everclear, water (from the bathtub tap), and juniper berry oil mixed directly in a mason jar. I used juniper oil instead of dried berries to get the clear look common with gin. This batch wasn’t heated. Everything just went in the jar and I shook it around a few times. The next day, I sat down to taste all of them. At first, I tried each one neat. Surprisingly, I found Batch A (the real recipe I found online) to be the worst tasting gin by far. It was like drinking grass. The aroma was so pungent that I had to hold my breath as I drank it. Unfortunately, I made far more of this recipe thinking it would be the stuff I’d drink. After I feed it to a few friends to verify my findings, It’s going down the drain. Batch B was better, but not by much. The aroma was far less offensive, but it still tasted like sod. Surprisingly, the next two batches redeemed the project. Batch C had a woodsy taste, and it reminded me of drinking whisky. The Everclear was very dominant, though. I tried another glass diluted with tonic water and ice. It wasn’t great, but I’ve had far worse. Finally, Batch D was pretty much what I expected. It tasted like rocket fuel. I added more juniper berry oil to help, but it’s a big mistake to drink this stuff neat. I turned it into a gin and tonic and had no problem throwing a couple back. I learned a few things from this experiment. Most importantly, I won’t be doing it again. There’s a reason making bathtub gin production isn’t a fun hobby like home brewing is. The ingredients are expensive and it’s difficult to make something that tastes better than the worst stuff on the market. Maybe I need to cut New Amsterdam some slack. This post required more research than any Distilled History topic to date. Numerous sources were used, notably Daniel Waugh’s books Egan’s Rats and Gangs of St. Louis: Men of Respect. They are meticulously researched and offer an almost overwhelming history of gangs in St. Louis. 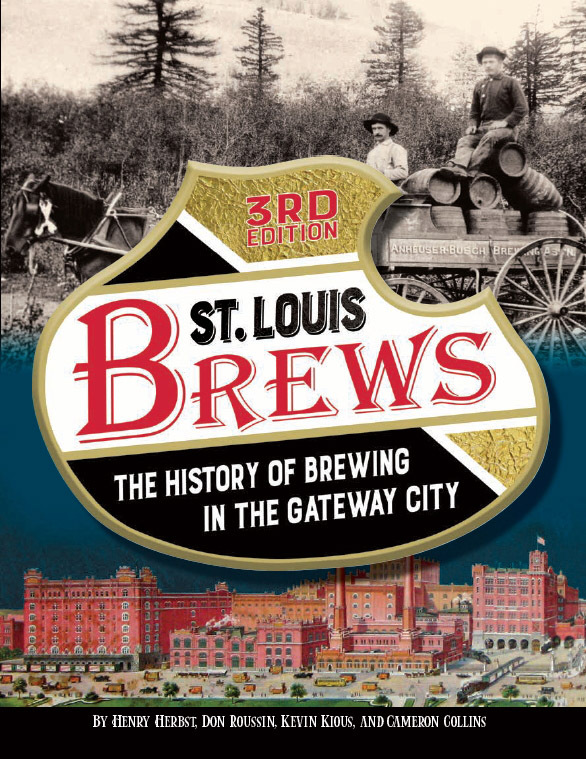 Wetter than the Mississippi: Prohibition in Saint Louis and Beyond by Robbi Courtway is very readable, and a source I look forward to using in future blog posts about Prohibition. Mobs, Mayhem, and Murder: Tales from the ST. Louis Police Beat by Tim O’Neil provided further insight into several gang related crimes during Prohibition. The Book of Gin: A Spirited World History from Alchemists’ Stills and Colonial Outposts to Gin Palaces, Bathtub Gin, and Artisanal Cocktails by Robert Barnett provides a wonderful history of gin from its origins to today. The September 24, 1926 editions of the St. Louis Post-Dispatch, the St. Louis Globe-Democrat, and the St. Louis Star were also used in researching the Submarine Bar shooting. Your bathtub gin exploits remind me of a recent concoction I made for RFT: Peep-Infused Vodka. Like, Easter marshmallow peeps. It was horrendous. Your experiments sound slightly more successful.